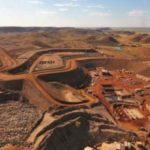 Rising investment in Western Australian projects and record sales in 2017–18 could see the mining industry return to the conditions of the mining boom, according to research from IBISWorld. 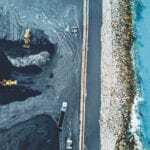 Iron ore, liquified natural gas (LNG), gold and battery minerals, in particular, are Western Australian industries cited by IBISWorld as possible growth drivers for the industry. Iron ore sales reached a record of 826 million tonnes in 2017–18, an 8.5 per cent increase over 2016–17, driven by increased demand from Asian markets, particularly China. The Western Australian iron ore industry recorded $6.1 billion of new project investment and $5.5 billion of planning stage investment in 2017–18. Battery metals, particularly lithium, are also on the ascent. Western Australian lithium production is expected to hit 274,000 tonnes in 2018–19, bolstered by high-profile operations from companies such as Altura Mining, Pilbara Minerals, Kidman Resources and Albemarle. LNG may see a boost in 2018-19 with the development of Woodside Petroleum’s Browse project, according to IBISWorld. Browse has been in the works for several years. “Ten LNG projects have been publicly announced, with an estimated value of up to $38.5 billion,” IBISWorld senior industry analyst Jason Aravanis said. Speaking of the United States, IBISWorld’s research also warned of the current trade tariffs imposed by the US on China (colloquially known as ‘Trump tariffs’), which could prove a potential impediment to future growth. 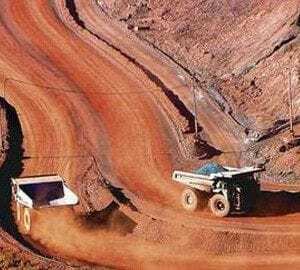 The trade tensions between the two countries have been criticised by mining leaders such as Fortescue chief executive officer Elizabeth Gaines and BHP CEO Andrew Mackenzie. “China is a major market for Australian mining exports, particularly iron ore and lithium. Should the global economy enter a downturn in response to the significant tariffs introduced in 2018, the Australian economy is likely to be hit hard,” Aravanis said.